Get Robot's Mission Create a Story Cards, pick some automated animals or robot to tell your own futuristic story. 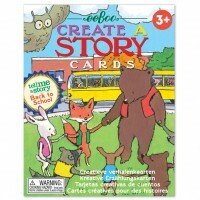 Creative Robot's Mission Tell Me a Story Cards Set by eeBoo is sure to sparkle up your child's imagination. 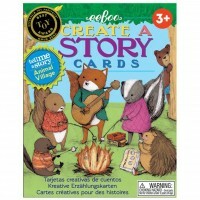 Go through this artistically illustrated by Saxton Freymann deck of storytelling cards and imagine what could happened, what was the reason for the event, what can follow it. 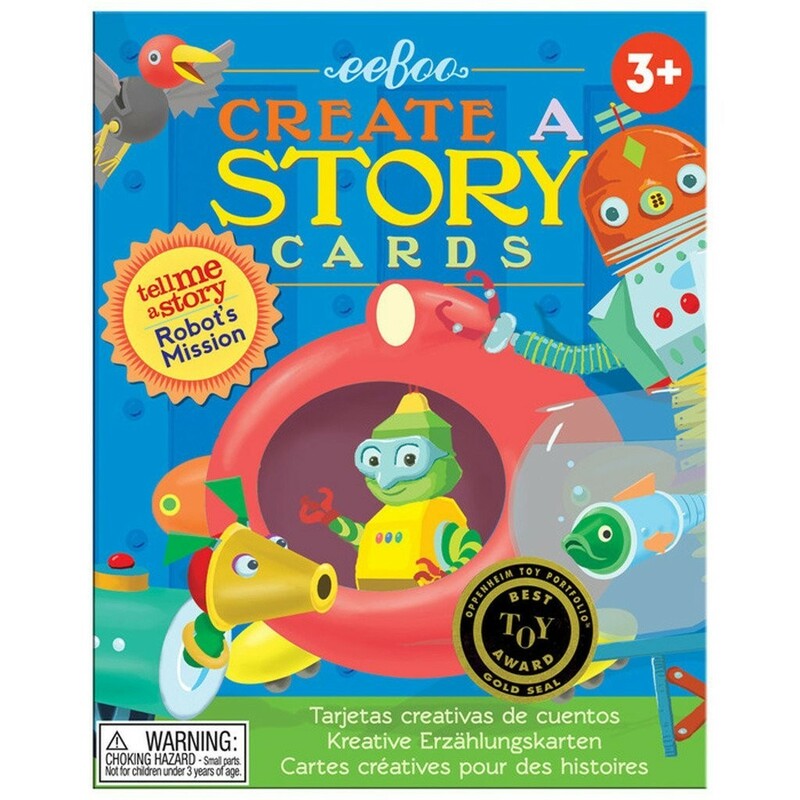 This robot themed set from eeBoo Create a Story toy series lets children make up their own wild, exciting, silly, and adventurous stories about the futuristic world of robots. 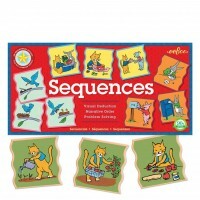 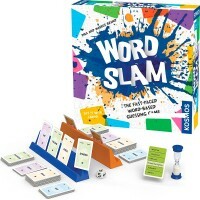 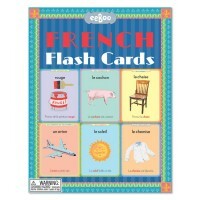 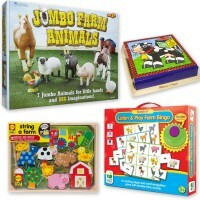 This storytelling card game from Educational Toys Planet comes complete with 36 sturdy cards (3.75 x 4.75 inches each). 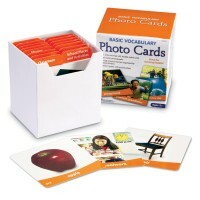 Each card shows a funny and friendly looking robot doing. 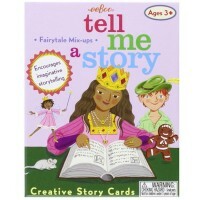 You tell stories in any language about what you think they are doing. 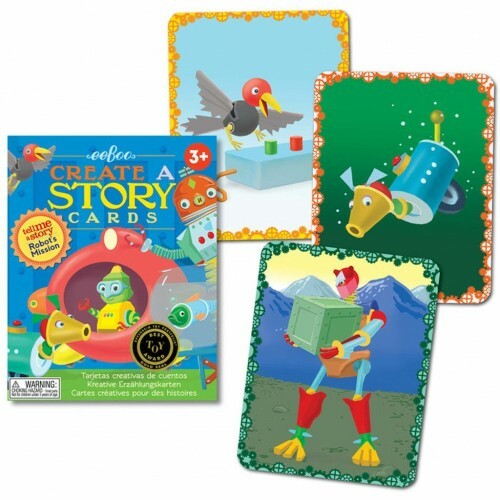 Robot's Mission Tell Me a Story Cards Set is perfect for teaching vocabulary, imagination, or foreign language skills to children of all ages and skill levels. 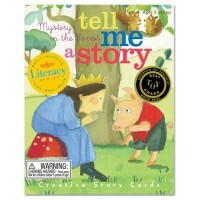 Dimensions of package 0.051" x 0.04" x 0.0075"
Write your own review of Robot's Mission Tell Me a Story Cards Set.